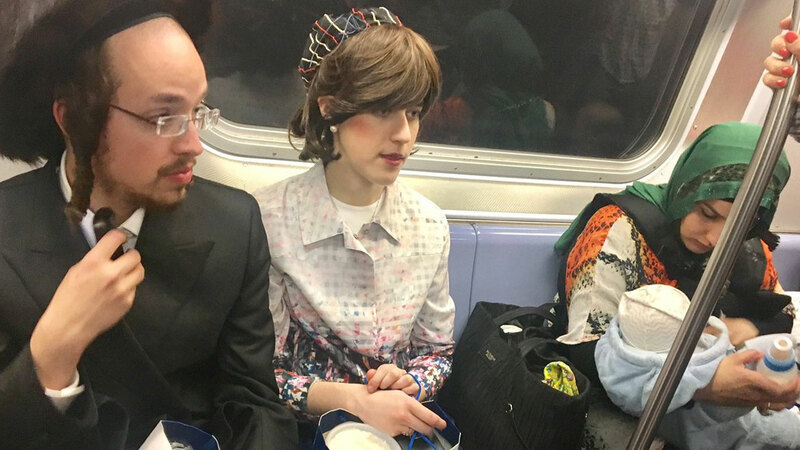 NEW YORK -- It may be a typical sight for veteran subway riders, but a photo of a Hasidic couple and Muslim woman taken by a Taoist man is getting viral attention on the Internet. Brooklyn resident Jackie Summers, a self-described Taoist, captured this moment while riding an F train on April 16, Easter Sunday. According to a Facebook post, Summers gave up his seat on the subway so the Hasidic couple could sit together. Then, the couple scooted over to give a Muslim woman enough room to nurse her baby comfortably. The photo has more than 38,000 shares on Facebook and 4,500 retweets on Twitter.